The Material Girl makes up her mind. By 1986, listeners knew they could rely on Madonna to administer a dose of electric shocks. (Unlike the others, she admitted on "Burning Up," she had no shame.) She promised the outrageous, and she kept her word with “Like a Virgin” and “Material Girl.” But in the summer of ’86, the hook-master gave them something else: the unexpected. With “Papa Don’t Preach,” Madonna pulled off one of the greatest bait and switches in pop music history. Her fans — and her critics — went wild. Of course, in 1986, Madonna was already as famous — notorious even — as any president. Audiences embraced the bejeweled champion of leather and lace who had inspired millions of girls around the world as a frank pop provocateur. From the beginning, she understood that to stop being called a slattern she had to play one. Perhaps she learned it from David Bowie, her most obvious precursor, whose Ziggy Stardust show in 1972 made such an impression on the young Madonna Ciccone that she'd later say he "changed the course of my life forever." Bowie, after all, had gotten ahead of a skeptical American public by admitting he was "gay and always had been." Madonna anticipated the slack-jawed reaction when she writhed on stage during the first MTV Video Music Awards. And when they called her a gold digger, she made "Material Girl." To accept the audience’s disgust meant also to blast it back at them tenfold; lingering on it seems a waste of time. For many critics, this ambivalence was even worse. "This song has me very concerned because it's being used by anti-abortion groups to encourage young women to keep their babies instead of having an abortion,” feminist lawyer Gloria Allred fumed. Not everyone did, though: for once Tipper Gore said a Madonna song pleased her. Lost in the critical firestorm were the song’s technical triumphs. Her fourteenth single, “Papa Don’t Preach” represented Madonna’s increasing sophistication in the studio. The shrinking minority of detractors still won’t give her props as a musician — partly because she's a woman, but mostly because she worked with many unknowns whose talents she coaxed out. Co-producer Stephen Bray should have university student union buildings named after him for writing the music for “Into the Groove"; on "Papa Don't Preach," he brought those dance chops to a mid-tempo number, giving it pulse and sinew. The song begins with a string section, which accentuates the coming melodrama (all that's missing is an old school soap opera organ). Then comes the thud of Bray’s drum machines, darkening the track. A happy arrangement complements a rueful lyric — an old trick. I’m sure the guy causing the hysteria wasn’t worth the trouble. They never are. The video, which may be the superior work of art, gives the evidence. Madonna, wearing a stunning horizontally striped shirt, fights with Papa (played by a pre-Do the Right Thing Danny Aiello), and reckons with the ducktailed drip who knocked her up. Along the way, a t-shirt reminds us that ITALIANS DO IT BETTER. (Thanks, Maddie.) Somehow Madonna the Actress has never been as piercing as Madonna the Video Star — partly because she is moving only in brief images, and partly because being more alive than anyone on screen would get wearisome after 90 minutes. I must say, “Papa Don’t Preach” is not among my top ten Madonna singles. 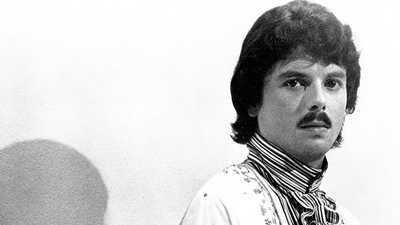 At the time though, it was an airplay and sales juggernaut, hitting the top ten in early August, and holding the #1 spot for two weeks that summer. Regard it as a validation of the almost mystical connection between Madonna and her audience. “WE ARE IN LOVE!” her character yells at Papa in the video. So are she and her fans. Madonna was keeping her promise. 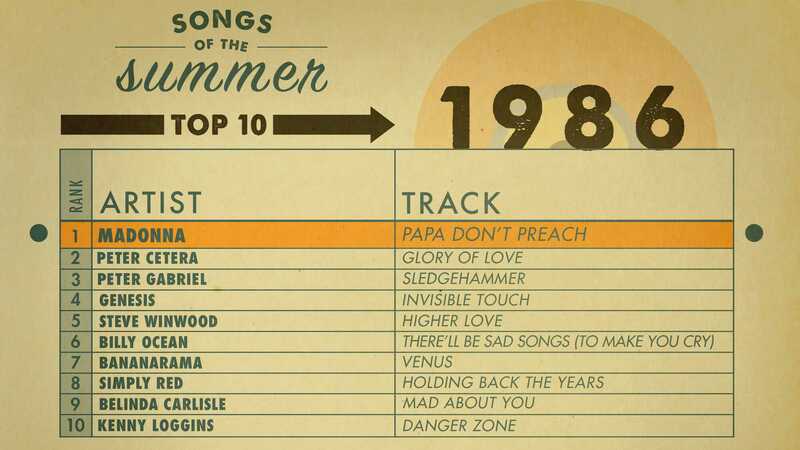 Listen to the complete top ten from the summer of 1986 on Spotify. Alfred Soto is a student media adviser and instructor at Florida International University. He is an editor at The Singles Jukebox. His work has appeared in SPIN, Rolling Stone, NPR, Slate, Billboard, and The Pitchfork Review. Roll down the windows, turn up the volume and prepare to sing along as American Experience celebrates the music of the season with Songs of the Summer. In 1958, Billboard launched its Hot 100, chronicling the songs that were flying off record store shelves, playing non-stop on juke boxes, and blaring through radio speakers. Almost sixty years on, how we listen to music and how we track a song’s success may have changed, but music remains a powerful force in our culture. Every Friday from June 2 through August 25, we’ll reveal one iconic song that hit the charts, accompanied by commentary from some of our favorite music writers. Explore our historical mixtape, and check back each Friday for our next track. How a commercial became an anthem during the Summer of Love. 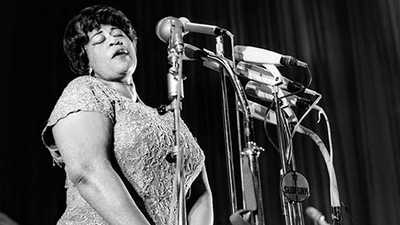 By challenging conventional links between black women’s lives and their art, Ella Fitzgerald made space for imagination, virtuosity, and play. 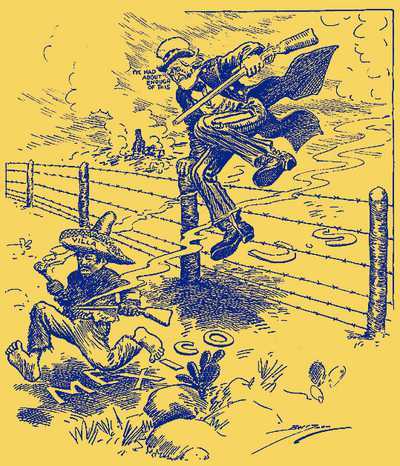 The mostly-true story of a rogue Mexican general who crossed the U.S. border and raided a New Mexico town is immortalized in this corrido.